Power Amplifier The KWA 150 provides the strengths of both tube and solid state products: 3-D sound-staging, holographic imaging, and a beautiful midrange of tubes, combined with sparkling highs, low distortion, bass resolution, and control of solid state. The heart of the KWA 150 Amplifier is a single voltage gain stage called the Solid State Music Stage. The circuit was developed by Alan Kimmel, creator of the exceptional vacuum tube Mu stage. Features include: high-low bias switch, stereo/bridge-mono switch and true balanced floating inputs, accepting balanced and unbalanced inputs. The design incorporates a regulated power supply for the input stage, Cardas best connectors and oversized heat sinks. The first watts operate in pure Class A. The KWA 150 uses no global feedback, is direct-coupled, fully differential, dual-mono, bridgeable, and designed and built in the USA. Summary of key elements of upgrade from standard KWA150: Upgraded model of Lundahl input transformer for improved speed and dynamics. Circuit design revisions to input circuits that lower distortion and improve dyanmics and resolution. Cryo-treated, solid core ultra-pure input wiring and 12GA stranded audio-grade output signal wire to binding posts. Revised capacitor bank (current storage design) that increases total storage (capacitance) and also lowers power supply impedance, which translates to faster current delivery to the output stage. This all translates to the following in terms of sonics: A more open and resolving overall presentation. Tighter and faster bass and transients. Improved speed and dynamics, whilst still retaining tube-like midrange qualities. Simplicity, Purity, Elegance and Power. Available with optional Phono and DAC (24/192 Asynchronous USB and RCA), offers freedom from the physical space requirements of complex audio separates. Full function remote, controls volume, mute, power, input select, remote triggers, DAC input select as well as MM or MC phono inputs (both optional). Dual digital displays, clearly visible from across the room, indicate source input and volume level. Displays may also be remotely dimmed or turned off. Manual controls are simple: Two knobs and two buttons. Power, Home Theater Bypass (or preamp-input) button, source select, and volume control knobs complete the interface. 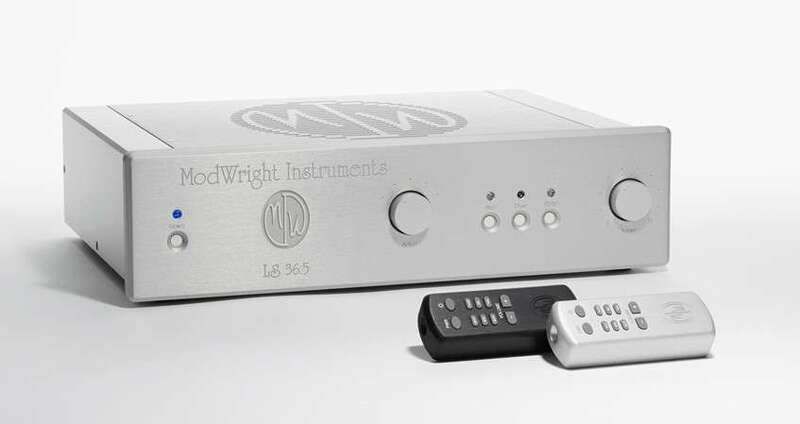 The KWI 200 uses a digitally controlled analog volume control with buffered input to the Solid State Music Stage, found in all of ModWrightâs amplifiers. This allows for a volume control superior to standard potentiometers and a single gain stage, direct-coupled to the current amplified output stage for ultimate sonic purity. Power handling is MOSFET by design, with a 1.5KVA power transformer and over 234,000 microfarads total capacitance. Incredible current reserves and 200W of power into 8 ohms (400W into 4 ohms), allow the flexibility to drive nearly any speaker. Simple, pure, elegant and powerful. 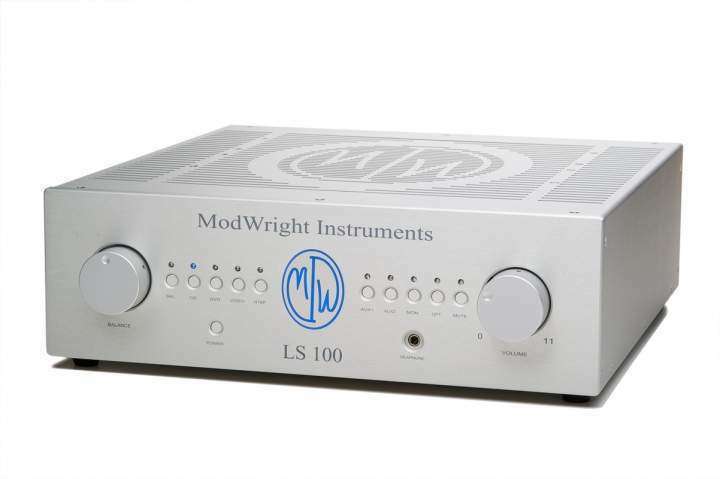 LS100 tube single-ended preamp from ModWright .The design goal of the LS 100 was to pick up where the 9.0SE, the first Modwright product to be produced over seven years ago, to the next level. The goals were improved sonics, aesthetics and functionality. Single-ended design with 10 function remote control, (2) 6SN7 (Driver) and (1) 5AR4/GZ34 rectifier. Single gain/buffer stage, phase inverting, five standard inputs, one Monitor input and tape output, one Home Theater Bypass (HT/BP) input and three main sets of RCA outs. Remote Control Functions Include: Power Two remote trigger outputs Selectable balance control, may be bypassed for cleaner signal path Volume control Mute Input select Monitor input select Preamp Functions Include: Upgrade slot for Optional in-board DAC or Phono stage Built in headphone amp fed via tube driver stage Home Theater Bypass All pushbutton control, no toggle switches The LS 100 is built in the same size enclosure as the KWA 100 amplifier and has the same lines and aesthetics, including backlit logo. Taller enclosure allows for greater range of rectifier tubes to fit inside. Sonically, the LS 100 offers a greater control, ease, musicality and resolution, all perfectly balanced for the ideal musical experience. Frequency response is flat from 20Hz to well beyond 100Khz. Soundstage is extremely wide and detail and microdynamics co-exist with a tube warmth and natural musical presentation that must be experienced! 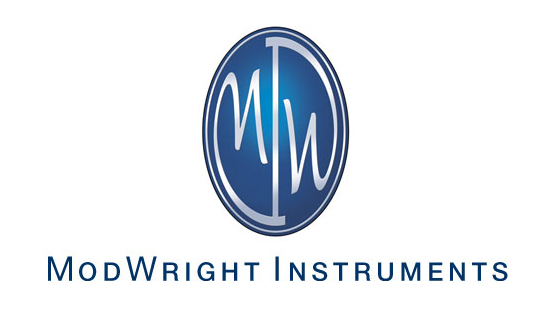 Full range of Modwright Instruments products are available to order.